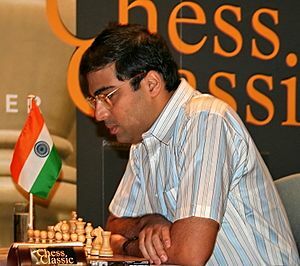 The 2013 World Championship match took place between Anand and Magnus Carlsen (challenger) in Chennai, the capital of Tamil Nadu, where Anand grew up. Usually, world championships had been played on neutral ground. 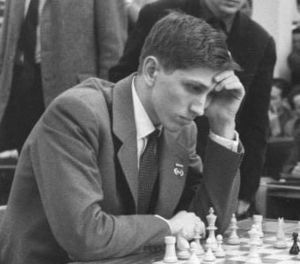 Fischer played Spassky in Iceland; Alekhine played Capablanca in Buenos Aires. The Soviets always played in Moscow. However, sponsorship is needed for these matches, and the decision to accept the Chennai bid was taken by FIDE. The Challenger was victorious winning 3 games and achieving the necessary 6.5 points to win the title at the end of game 10. Magnus Carlsen, 22 and from Norway is therefore the current World Chess Champion. List of World Chess Champions Facts for Kids. Kiddle Encyclopedia.